Going green may seem like a completely massive step away from what you’re used to; what you may not realize, though, is that it can always begin with small changes. If you’re thinking about running a more eco-friendly household but you’re not entirely sure where to begin, maybe a little change in your water heating and filtration system can open the door for you – let 4Star Plumbing Services help you out! 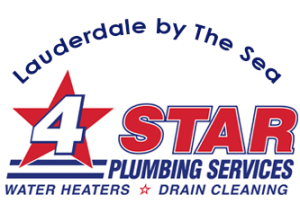 4Star Plumbing Services is more than just Lauderdale by the Sea’s favorite plumbing company; we are also your go-to place for all your concerns on going green. We can provide you with solutions and more eco-friendly solutions for your water filtration and water-heating needs, as well as do thorough inspections on your fixtures, drains, and pipes to make sure that you are not wasting water and dollars from leaks and faulty systems. We have been providing sound and professional solutions on green plumbing and heating not only in Lauderdale by the Sea but also in Hollywood, Deerfield Beach, Davie, Dania Beach, Coral Springs, and the whole or Broward County. Going green does not only benefit the environment; done right – with the help of the experts from 4Star Plumbing Services – can earn you tax credits from the government and cash savings on your next bill. Call us today to learn more about the green solutions we can offer you!